Ecovent is an advanced environmental control system making people more comfortable in their own homes. HVAC is difficult with many different problems – old homes have poor insulation while large homes have inefficient distribution of heating or cooling. Ecovent allows for customization of temperature control through automatically opening and closing vents. Sensors and a central computer automatically control and optimize temperatures so that consumers can remain comfortable and save money. 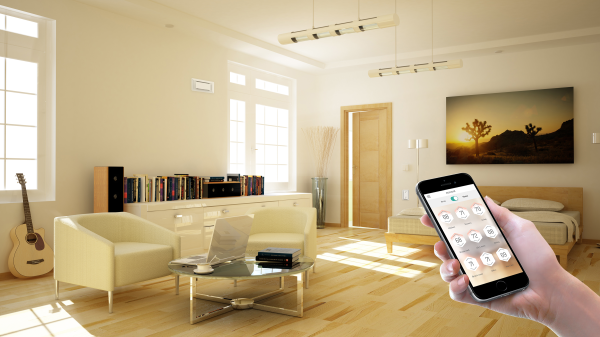 Ecovent installs vents, sensors, and a computer in your house to optimize the environment. The sensors analyze the ambient temperature in each affected room, as well as the temperature of the air coming out of the vent. Based on the user’s preferences, a central operating system will open and close vents to appropriately adjust the temperature for each affected room. In addition to monitoring and regulating home temperatures, Ecovent collects and analyzes environmental data. The sensor array allows for an ‘x-ray’ into the HVAC system within the house. Ecovent can diagnose poor insulation, or other ventilation issues that can cause financial loss or at worst structural harm. In fact, Ecovent has already prevented a very dangerous situation where a furnace was on its way to overheating. I want one where can I get it? Funding: The Company has had 1 round of convertible debt and 2 additional rounds of equity. Invested firms include Auto Consulting and Emerson Electric (NYSE: EMR). Revenue: Exact numbers will remain a mystery. Their product is sold wholesale and installed by contractors. -Half of the time, 40% of the central air leaks out, and so only 60% of ventilation is impactful in affecting temperature changes. Market Size: As mentioned, there are 86 million homes with central air and the vast majority of them have a problem. In addition, 7-8.5 million HVAC systems are replaced or reconfigured per year. I sat down with CEO and co-founder Dip Patel to discuss his company. Dip has a background in radar working for Lockheed Martin and sees radar engineers as the original data scientists. He is quick to point out that the real value in Ecovent is not only the actual vents but the data collected. 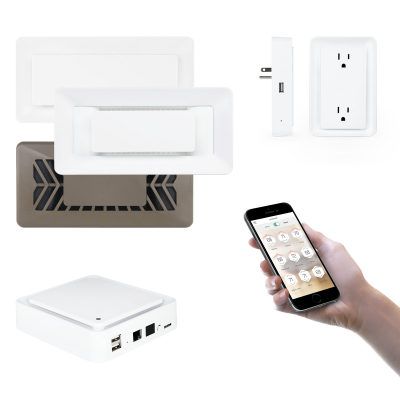 In the right hands, home environmental data can prove extremely useful for designing and augmenting systems for the modern home. Dip and his other co-founders started the company while finishing their MBA’s at MIT Sloan. Ecovent is focusing on sales and marketing, and they are receiving excellent feedback and adoption from customers and contractors. In the future, they will continue to focus on leveraging home data. Dip hopes that one day, homebuyers will want to see an Ecovent report on the structural or HVAC integrity of a home (much like a Carfax) before they purchase. They also want to branch out from single family homes into commercial buildings.